– Developing a close, intimate relationship with them so that they know your voice and trust you. – Understanding the needs of the sheep better than they do. – Working to provide protection and security. – Comforts sheep when they are hurt or fearful. – Lead them to fresh pastures. – Gets deep satisfaction from seeing that sheep are contented, well-fed, and safe. 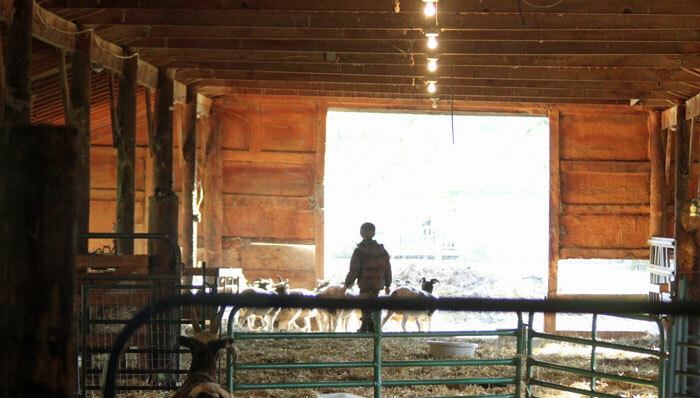 Nothing makes me more proud than heading into the barn to find our son, calmly and gently, moving the sheep out for feeding time. He didn’t know I was watching him and it brought a smile to my face to see him quietly talking to the girls as he ushered them out. While I was putting hay in the feeders, he was giving Delight the attention she was craving. It looks like she will be the next to lamb. 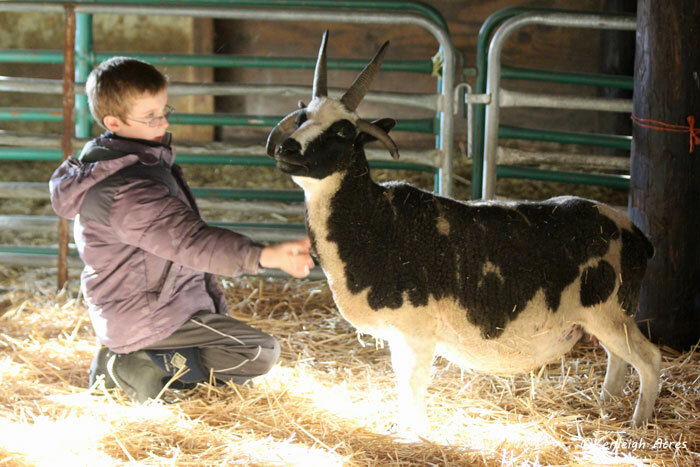 The look on her face says it all…she was thoroughly enjoying the scratches and sweet talks. 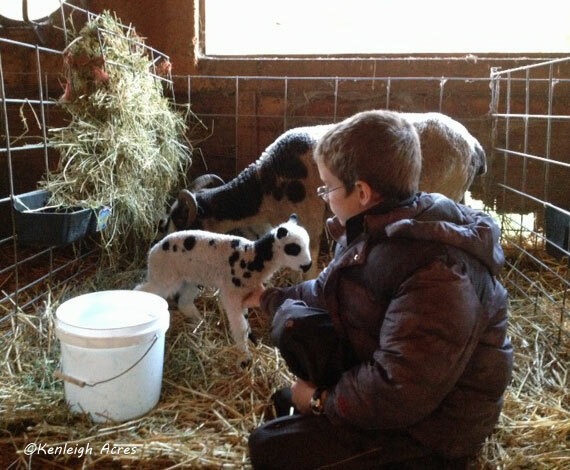 After spending time with Delight, he worked his way down the lamb pens and said ‘hi’ to everyone. He spent the most time with this little girl. Scout has become friendly and he will soon have another one begging for chest scratches. 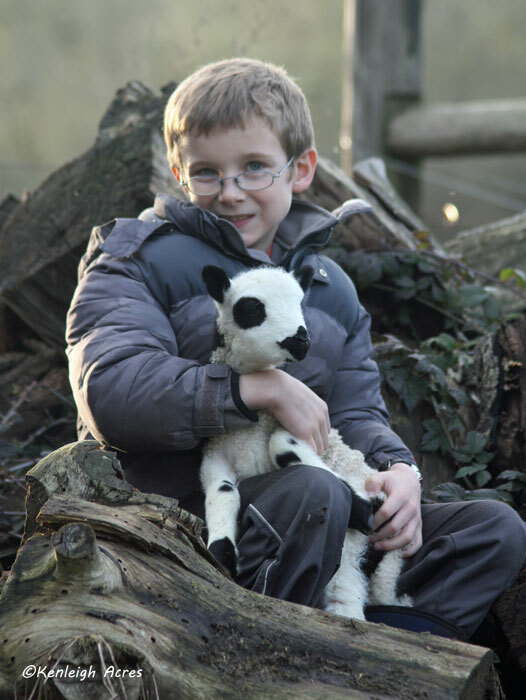 I love this time of year and the bond we are creating with the help of our little spotted sheep.